Global provider of brand experiences Freeman has integrated several of its creative services across the Asia Pacific region, including China and Singapore, under the company’s agency division, FreemanXP. The move comes after the company acquired Staging Connections Group Limited in November 2015. The event services company, with operations in Australia, New Zealand and Fiji, operated in Singapore as The Event Company (TECSC) and in China as ETGSC. 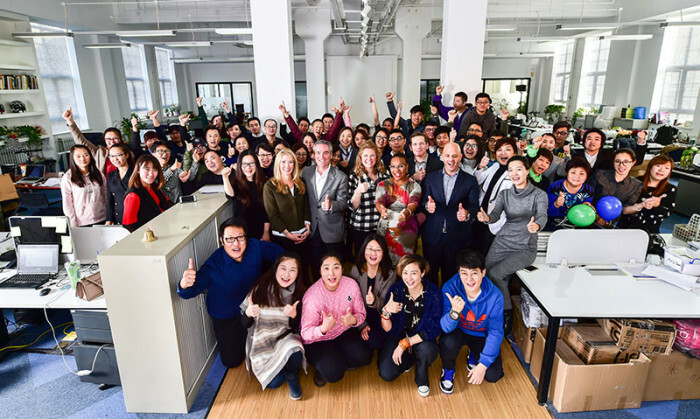 “We are excited to create local expertise backed by global resources as we integrate our operations across Asia Pacific and around the world, providing our clients with access to the best minds from Freeman’s global agency,” said Dan Hoffend, president of FreemanXP. As Freeman integrates the two companies into FreemanXP, seasoned leaders have joined the team in Asia Pacific, including Dionne Holder as managing director of China, Etienne Chia as VP, digital and strategy, APAC, Carrie Tsoi as the new marketing director, APAC, Tamsyn Barker, as the executive creative director in Singapore, and Peter Fulcher-Meredith as director of communication in Singapore. “Asia Pacific is a key market for our growth, both in-market and as a destination for our global clients who need strategic, creative agency services,” said Adam Charles, SVP, managing director, APAC for FreemanXP. “After so long in Asia, a culture I have fallen in love with, it is time to go home and pursue the next chapter in my life,” said ..
With the local public unappeased by Anton Casey's PR move, this cafe has made its point with a promotion specially tailored for th.. The STB pitch: What’s on the cards? Four years after it appointed its current roster of agencies, the Singapore Tourism Board (STB) is again looking for a roster of c..